There are several locations to park on campus. All-day parking on campus is available for $12. If you are driving up Hilgard Avenue, turn left at Manning Drive and then right into Parking Structure 2 for the Pay-By-Space parking. 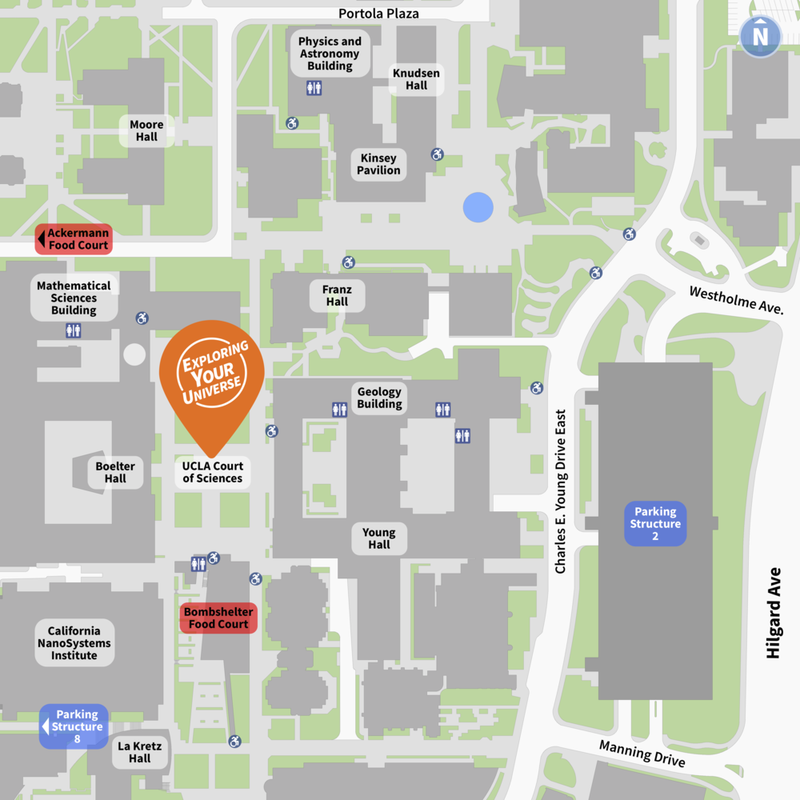 If you are driving up Westwood Boulevard, a parking kiosk is on Westwood Plaza once you are in campus, after crossing Charles E. Young Drive South. All day parking passes are available for Parking Structre 8. The closes bus stop to the Exploring Your Universe event is Hilgard/Westholme.